The advice and support given to cancer patients is focused on a healthy lifestyle in order to support an individuals health. Naturopaths do NOT treat cancer, Practitioners do support health and treat "Individuals", not a "disease name". What is Cancer / Lifestyle Support? Belle McCaleb - ND, RN, MSS-C, BSN, RYT - St George South Australia - Cancer Support since 2003. Belle is a Qualified Women's Health Specialist, Master's prepared counsellor, founder of the Cancer Support Alliance and a registered Yoga Therapist. 2.0 What is Cancer Support? Unfortunately, Cancer hasn't lost it's big C fear factor yet, and even more unfortunately and speaking statistically cancer seems still be on the increase. Is there still anyone out there who disputes that modern living with the horrendous increase of man made pollutants, plus accompanying lifestyle is contributing to that rise? For anyone concerned, I only can advice to live as healthy as possible, eat a clean if possible organic diet, stay out of pollution as much as possible and keep a positive attitude, it's amazing what the mind can do. In recent history, mankind has managed to drastically change the chemistry of our environment. A report in 1989 stated ( I wonder about the stats now) that a grand total of 5,705,670,380 pounds of chemical pollutants were released into the environment we eat, breath and live in, all in just One year. It is not just about the amount the of the pollutants, much more important is the fact, that most of those pollutants are man-made ( human-made), which actually means our systems can't digest or detoxify those new substances which will definitely contribute to gene mutations and cancer proliferation. Yes, there is more to global warming than one would think. Our beautiful earth is changing, and not for the better. Not only have we managed to play havoc on our environment, we a very successful in creating new diseases and an increase in the rate of cancers as well. Just do as good as you can .. enjoy your lifestyle and try to make it a healthy one. Not only will that help you, but the positive side effect will be that you may create a more clean and green surrounding affecting people around you. Just remember, a positive attitude and happiness are of vital importance, getting angry, bitter, frustrated or fanatic is not going to help. We need all the support we can get. Avoid common lifestyle diseases, such as Diabetes type 2 - Hypertension - Stroke - Metabolic Syndrome - Osteoarthritis - Sleep Apnea - Gallstones - Obesity Hypoventilation Syndrome, and more related health issues. Find healing cancer and lifestyle articles below. Lifestyle Diseases - "Holistic Therapies? .. the natural way to free yourself from physical and mental decline. 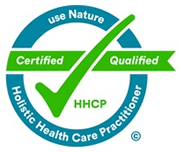 Holistic Health & Lifestyle Foundation- * Health is more than a good diet, everything is inter-connected, if anything is out of balance it will effect everything else. Stop eating processed food - A heart attack may seem sudden, but it will have needed many accumulative factors to cause it.